He brought along a signed proclamation on behalf of the members of the House of Representatives of the 133rd General Assembly of Ohio, congratulating the station for the decades we have spent serving the Miami Valley. Omar Williams once famously said something along the lines of, "I came to Dayton to get my feet wet and ended up getting drenched." “70 years of service to this community – it is truly fantastic. You are just a superior asset to this community," Shaw said. "So, I wanted to bring a proclamation from the Mayor. In fact, the Mayor has proclaimed today ‘WDTN Day’ in Dayton." Former Storm Team 2 Chief Meteorologist Carl Nichols remembers WDTN’s Community Service Director returning from a meeting at a station in Milwaukee 35 years ago. She came back with some inspiration. WDTN’s Weather Center has certainly gone through changes since the old days of turning a dial to show temperatures and drawing and placing cutouts on maps. In 1958, Bob Phillips was working at Wright-Patt, and just got the news he was being reassigned to Virginia when a sign on the back of a bus changed his life forever. 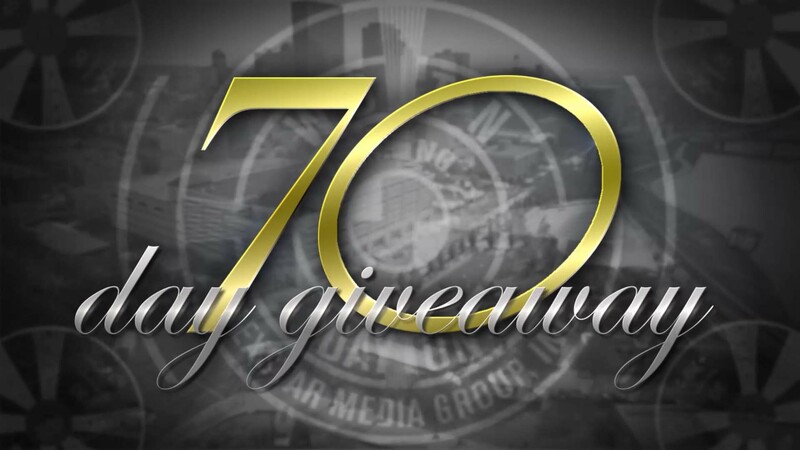 Click here to enter the 70 Day Giveaway!